If you work in any heavy industry you've likely heard someone talk about the hazard of arc flash but one thing you may be confused on is how it ever happens. It might seem similar to trying to predict when lightning will strike, but just as the dark clouds will start to form on the horizon there are things that you can look for to help determine when an arc flash will strike. 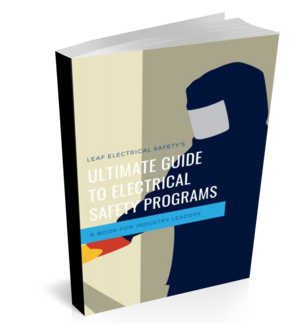 In this article, I'll be going through what I see as some of the most common ways an arc flash is initiated. This one might seem fairly obvious, but when you've got your nose stuck into a live 600-volt panel (or another type that has arc flash potential) then you're at risk for causing the arc flash. All it takes is for an arc to start and it could be your hand or tool that does it. I've heard stories of people slipping with screwdrivers, blindly reaching to pull cables, and even sticking a pen where it wasn't designed to go. All of these cases an arc was created and an arc flash ensued. Equipment maintenance should be at the forefront of your electrical safety initiative but sometimes you just can get to it all. Over time electrical components will start to break down and corrode if not properly maintained. It's only a matter of time before those energized conductors get close enough to arc across... let's just hope that the straw that breaks the camels back is not someone operating a disconnect or racking a breaker. I'm amazed at how many times I've heard of arc flashes happening because a tool was left behind after some maintenance. The one that comes to mind for me was in a mine in Northern Canada. The electricians were doing some work to one of the dry type transformers and left a wrench on top of the transformer coils. When they returned to the switch to reenergize the system they were reminded they forgot the tools with an extremely loud bang.... luckily they were quite far away from the transformer at that point. This one seems to be happening in a lot more places than it should. When a protective device operates (so a breaker trips or a fuse blows) that means something is wrong with the system... even if an overload trips you know you have something that is not operating the way it was supposed to be. So instead of mindlessly resetting the device and going back to work that should be your queue to figure out what happened. If it was the overload, then it's likely a straightforward fix (like a jammed piece of equipment) but if it was actually a fault then you are only asking for trouble if you try to reset on that fault again. Your equipment can only take so much abuse and this could cause an arc flash if you've overstretched the equipment's capability. Absolutely! There is probably an endless number of ways that an arc flash can happen all I really wanted to do was make sure you understood that it is rarely a random event (like lightning) and more often something someone did to initiate the arc in the first place.